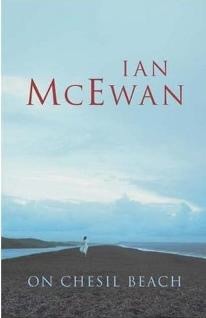 The only Ian McEwan novel I’d read before this one was ‘Atonement’, and I immediately noticed that they’re similar in theme. This isn’t a criticism, as the theme is a bloody interesting one. Both explore how misunderstandings destroy lives; in On Chesil Beach, however, it’s the words which go unsaid that cause lives to fall apart, rather than false assumptions as in Atonement. In 1962, two newly married virgins have a painful, frustrating wedding night. They lack the language to explain what happened, and the story is a painful one.Explaining their distress would involve skills of introspection which the two young adults simply don’t have, due to the well-meaning, stifling prissiness of their society. Each have problems that they can’t understand, let alone resolve. The language they need to explain and explore what’s wrong lies in parts of their minds they just can’t reach. Melancholic and beautifully written, with prose which compares and weaves history and the mundane with precision, this is a great short read.